Grain SA's 50th NAMPO Harvest Day shattered more than one record amidst tough agricultural conditions. The four-day trade show that was held near Bothaville last week, was attended by a record of 75 116 people while a total of 685 exhibitors participated – the most ever. This top attendance figure exceeded all expectations and positive feedback from exhibitors confirmed that good business was concluded by them. Ideal weather conditions undoubtedly contributed to the very successful 50th Harvest Day. Compared to before last year's 399 light aircrafts and helicopters that landed on the four days at NAMPO Park, this year's number amounted to 448. The landing strip is used by exhibitors, visitor groups, private pilots and agricultural producers. The smooth flow of visitors through the gates despite the large attendance was remarkable following an electronic entrance system introduced last year. A more even distribution of visitors took place over the four days. 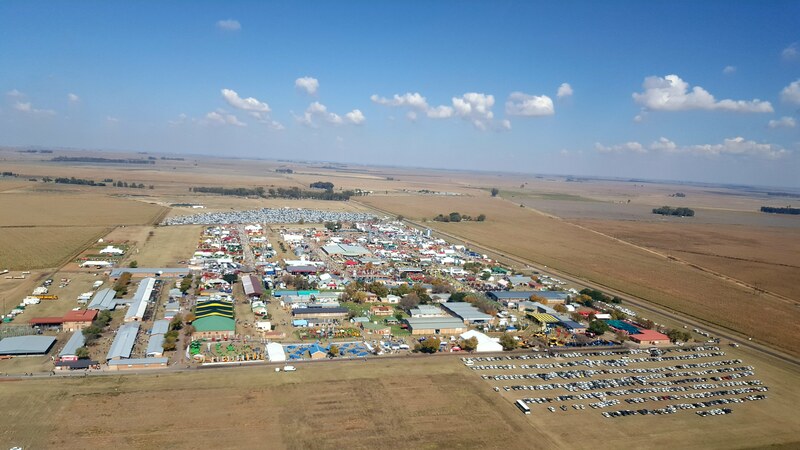 NAMPO 2016 once again proved that the facilities at NAMPO Park enables it to handle a large number of visitors. Positive comments were received about the quality of exhibitors, the good and clean condition of the terrain and toilet facilities as well as the peaceful atmosphere and positive tone that always prevailed. 'Over the past half-century the NAMPO Harvest Day has evolved into a brand that accurately resonates modern agriculture in South Africa. It speaks to the general public as consumers of our agricultural products; it speaks to all producers in our country; it speaks to decision makers in government and the industry; it even appeals to the international arena and the growing interest from abroad confirms it,' Cobus van Coller, chairman of the Harvest Day, said. Another aspect that he experienced positively was the excitement among guests of Grain SA who visited the Harvest Day for the first time. 'Senior people in the structure of agriculture-related businesses got a picture of the extent and depth of the industry. Their feedback about the image of a competitive, technologically advanced industry was without exception overwhelmingly positive,' he said. During a special function Grain SA acknowledged exhibitors, volunteers, agricultural leadership and personnel's contribution to the NAMPO Harvest Day over the past five decades since 1967. Special recognition was given to seven of the 1967 Harvest Day's eight exhibitors who still take part today and to seventeen exhibitors for continued exhibiting at the current terrain since 1974. 2016’s record NAMPO was a wonderful going away present for Johan Loxton, who has been the organiser of the event for the past 20 years. Toit Wessels will take over the reins with effect from 1 October 2016 under the mentorship of Johan. Next year's NAMPO Harvest Day will take place from 16 to 19 May.